Android and iOS mobile developers build, test, and deploy mobile apps. Given the popularity of smartphones and tablets, mobile developers are in high demand. These are among the highest paying tech jobs. Due to the ever-changing mobile ecosystem, many app developers are self-taught. It's also common for developers to have taken courses in computer science - some even have masters’ degrees or PhDs in the field. Android and iOS mobile developers need a mix of hard skills and soft skills. Technological skills are a most. But the ability to communicate is also important, as is having excellent analytical skills. Discover the most important mobile developer skills to include on your resume, cover letter, and in job applications, as well as mentioning in interviewers. You can use these skills lists throughout your job search process, from preparing applications materials through to your interview. Firstly, you can use these skill words in your resume. In the description of your work history, you might want to use some of these keywords. Review a sample Android developer resume for inspiration. Of course, each role requires different skills and experiences, so make sure you read the job description carefully, and focus on the skills listed by the employer. Also review our other lists of skills listed by job and type of skill. Analytical Skills. Mobile developers have to analyze user needs in order to create applications that users will want to use. 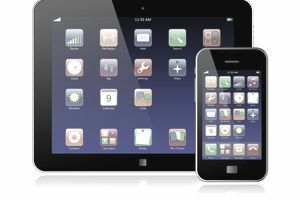 The ability to analyze the way people use their mobile devices is therefore critical for a successful mobile developer. Communication. Mobile developers need to be able to communicate both orally and in writing. They might have to give instructions to team members or employees. The also might need to explain an application to non-technical team members. This requires the ability to explain technical concepts in clear, easy-to-understand language. Creativity. As a mobile developer, you have to creatively write clean code to create applications that are user-friendly. Developers think creatively about how users incorporate their mobile devices into their lives, and then create applications that help them complete various tasks. This job involves not only tech skills, but also an open mind. Problem Solving. As a mobile developer, a big part of your job will be to troubleshoot issues with applications on Android or iOS platforms. You will have to be able to recognize various technical problems and understand how to resolve them. Programming Languages. Knowledge of programming languages is necessary for a mobile developer. Apple iOS developers generally use Objective-C, and Android developers typically use Java. However, it is useful to know multiple programming languages. This will make you stand out from the other job applicants. Here's a list of Android and iOS mobile developer skills for resumes, cover letters, job applications, and interviews.